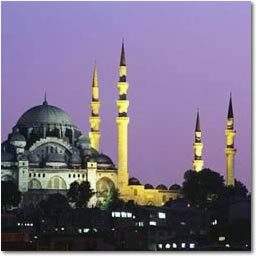 Istanbul, the gateway between East and West, sits on both the Asian and European continents. This unique location is evident in the atmosphere of this beautiful city. The Roman, Byzantine and Ottoman Empires have all claimed Istanbul, leaving a city of multiple religions and cultures, which to this day exist side by side harmoniously. The Roman viaducts, built to carry water from the city's outskirts to the palace, remain intact, jostling for space alongside glittering Mosques and the Grand Bazaar complex, almost a city in its own right. Turning 360 degrees at any one point in this city will uncover treasures which traverse centuries, continents & empires, like no where else on earth. Begin your journey on board the blue and gold carriages of the Venice Simplon-Orient-Express in Istanbul and travel throughout Turkey and Bulgaria. Spend overnight on board and arrive the next day in Bucharest for your night in this fascinating city. The next day continue your journey towards Hungary before arriving in the capital, Budapest, the next morning. Enjoy a sightseeing tour and your stay overnight. On rejoining the train the next day travel into Austria, stopping for a short city tour in Vienna. Enjoy your last night on board as the train crosses into Italy and on to your final destination, Venice.